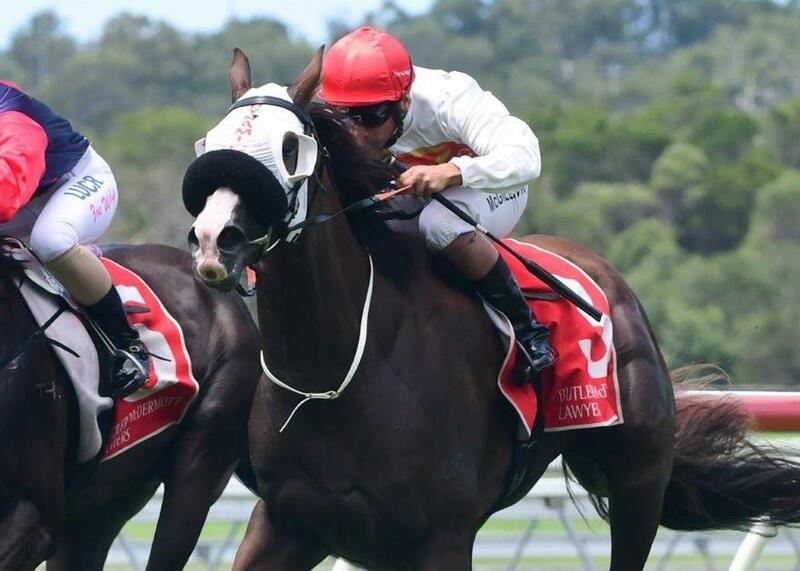 On a track rated as a Heavy 9 and with the rail out 11 metres for the entire course Argie Bargie showed true determination to take out the third race of the day at the Sunshine Coast, the OAKS HOTEL & RESORTS Class 1 Handicap over the 1400metres. 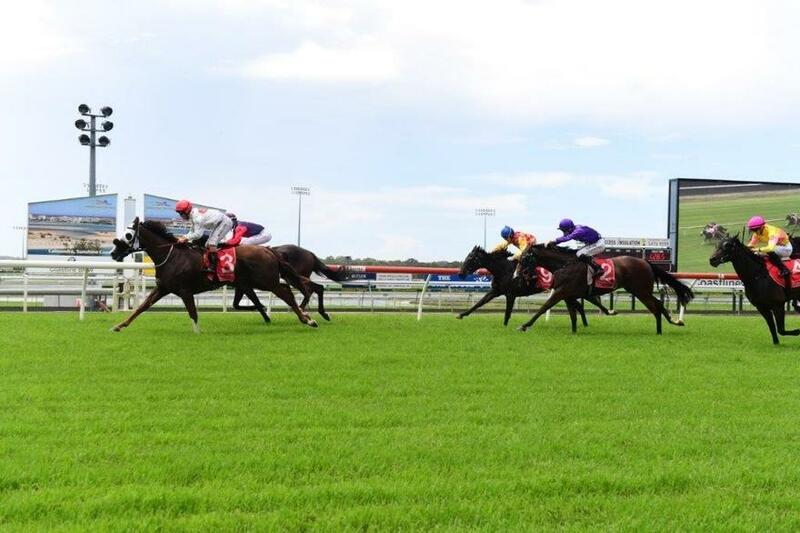 Breaking from barrier four, jockey Matty McGillivray had the 4-year old mare across and up to the front by the 1200metres and striding along while the rest of the field sorted out their running positions. However, by the time they hit the section of the track where the 1000metre joins up with the course proper, Baby Merlin had taken off and had gone to the front and was leading by 3 lengths over Argie Bargie with the rest of the pack a further length and a half back. At the 500metre mark Baby Merlin was still leading Argie Bargie, if only by a length and a half, and as they turned into the home straight Matty McGillivray began to encourage the mare to chase down Baby Merlin. It was definitely a hard slog in the going and it was only in the last 50metres that Argie Bargie was able to go past the leader to grab the win by a neck in a time of 1:28:55. Apart from dealing with a water logged track and the saddle slipping back it was also found, after the race, that she lost both her front shoes in the run which makes it an even more courageous win as she would have not had much traction up front, where it is most needed, in the heavy going. McGillivray said that he was very happy with her. He did not want that leader to get to far in front so he made sure she raced true and did not drop off too much. ‘It was a nice honest win from the mare.’ he said. The well-bred daughter of Snitzel is out of the Palace Music mare Laurinel Argie who is a full sister to Palace Line – Champion 2-year old male in South Africa in 2001-1 and Campion 3-year old male in Singapore in 2002.